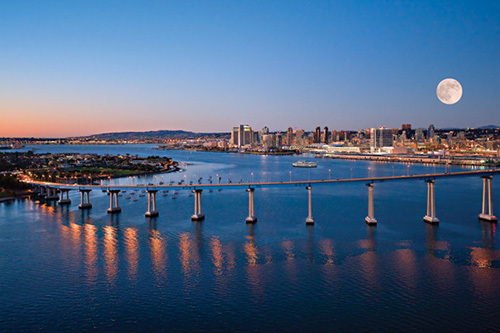 If you are arriving by plane, there are two airports that offer easy access. Breckenridge is located 109 miles (about a two-hour drive) from the Denver airport and 80 miles from the actual city of Denver. The Eagle airport is about 70 miles away from Breckenridge. Chances are you will find a greater availability and flexibility in flight schedules by flying in and out of Denver. 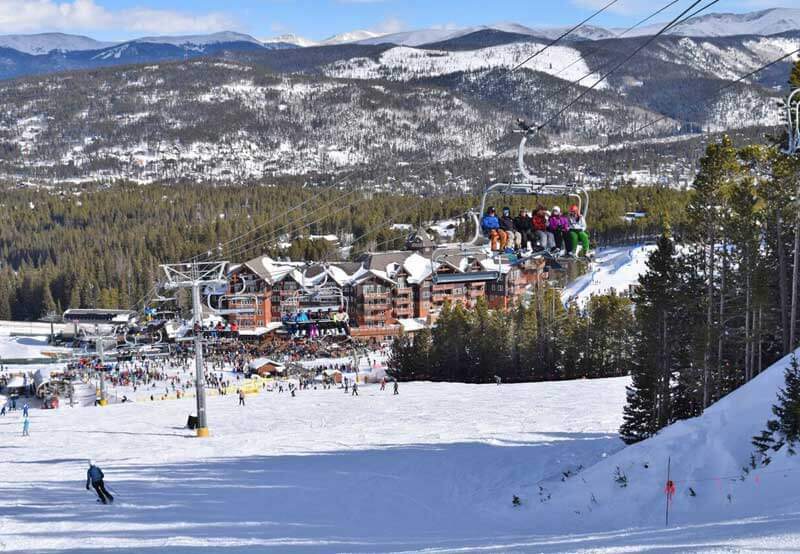 Many families rent a car and drive to Breckenridge, but if you are nervous about driving in snow or want to go carless, both airports have door-to-door airport shuttles through Colorado Mountain Express and from Denver through Summit Express. 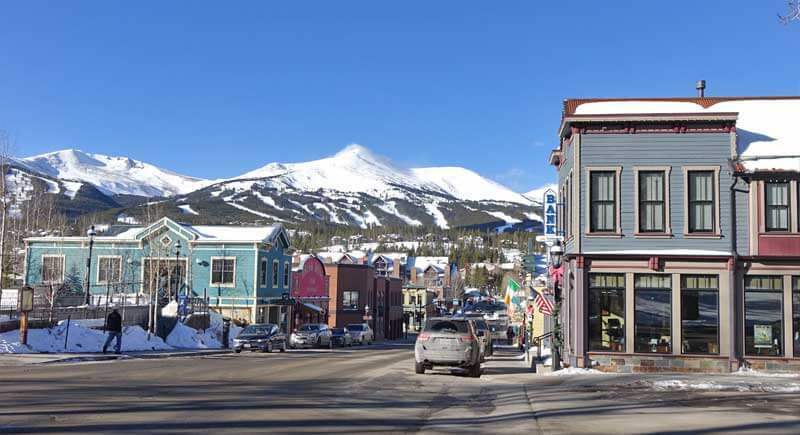 The town of Breckenridge is best experienced on foot, with all its quaint shops and restaurants in a historic shopping district, so you don’t really need a car. There is free transportation around Breckenridge through buses and trolleys. The Breck Free Ride buses and shuttles connect to the free Summit Stage bus system, giving you free access to anywhere else in Summit County. Keystone is also located in Summit County. Some families may want a car to access other popular ski resorts in the area (such as Vail and Beaver Creek), the grocery store or the Frisco Adventure Park. Expect significant traffic getting in and out of Breckenridge at peak times. Whether you choose to pick up a car rental at the airport and drive yourself or relax during the ride, you’ll take Highway 70 W to CO-9 S past Frisco and straight into Breckenridge. As soon as you exit 70 W onto CO-9, you will see grocery stores and a Wal-Mart on the right if you want to stock up on food or supplies. 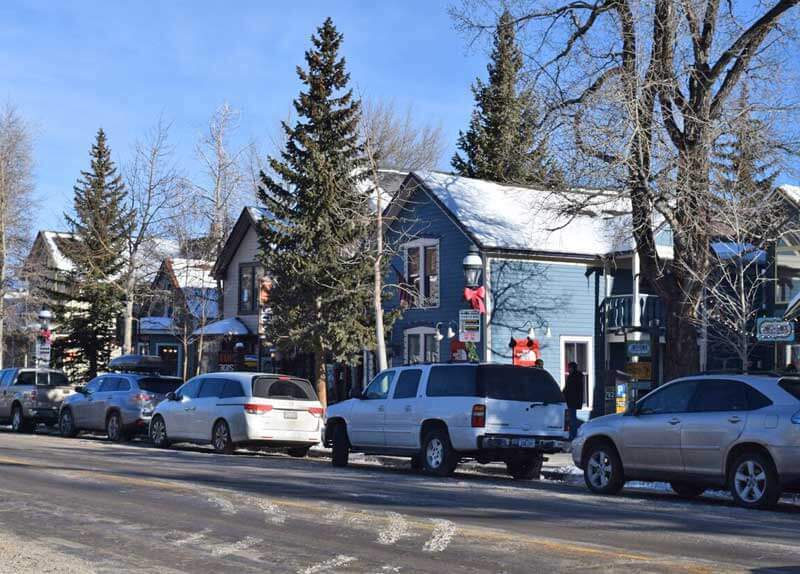 If you are staying at a Breckenridge ski-in/ski-out location, you don’t need to worry about parking. 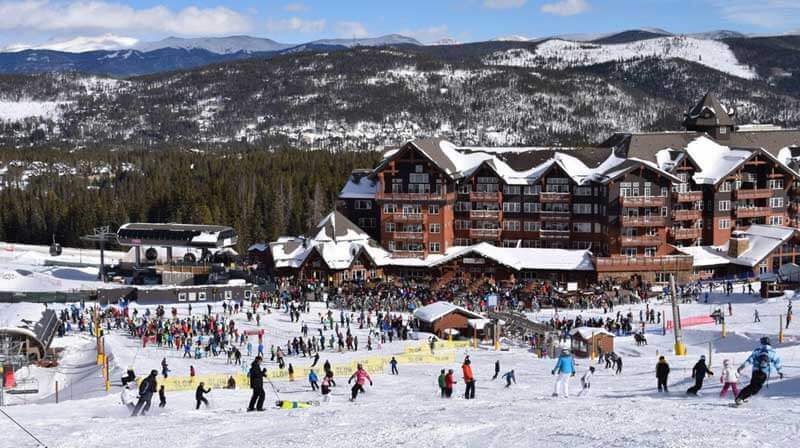 But if you are staying off-site or at one of the other nearby popular Colorado ski resorts such as Keystone, Copper Mountain, Vail or Beaver Creek, you’ll need to know where to park. There are multiple parking lots that vary from slope side to in-town via gondola to free parking outside of town via a shuttle. 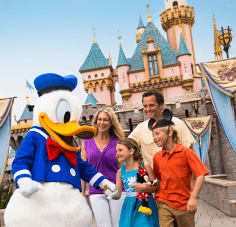 Most lots are pay lots, although you can get a $5 discount if you arrive with four or more people in your vehicle. The following are the main lots. Handicapped parking available at the Beaver Run lot. Handicapped parking available at the North Gondola lot. Free daily parking with shuttle buses every 7-12 minutes from 8 a.m. until 6 p.m. with drop-off at the gondola. If you are booking lessons (more on that later), be sure to park at a lot that will allow you to access that area. Know where your lessons are before you park so that you choose the correct lot. You don’t find that quintessential ski village at Breckenridge like you’ll find at Vail and Beaver Creek (although there is an area called the Village at the base of Peak 9 … it does lead out into the historic district). The bases have lodging and restaurants and traditional ski lodge offerings. The pedestrian-friendly town just off Peak 9 is really too cute for words. Main Street is lined with restaurants, ski clothing and gear shops, toy stores, candy stores, gift shops, free museums, a nearby sled hill and playground for kids. We really recommend taking the time to wander through town any time, day or night. 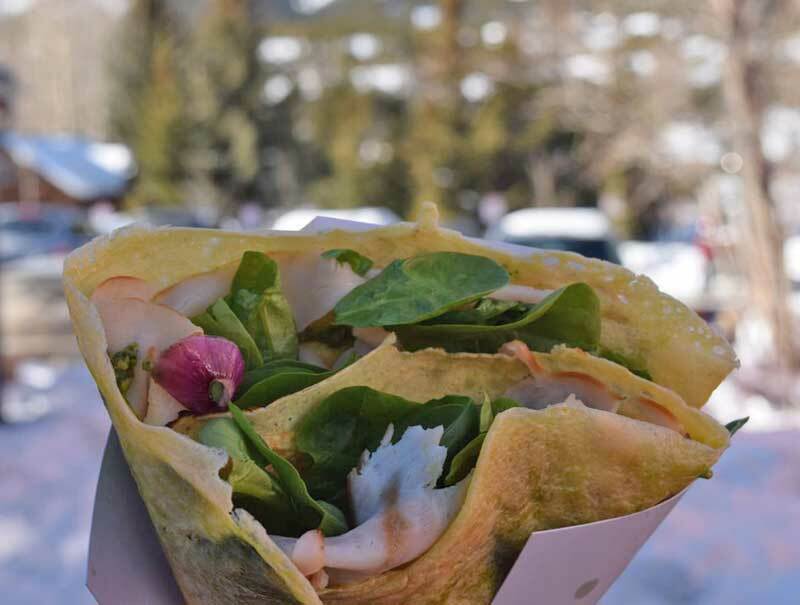 Be sure to stop for crepes — more on that in food. So where to stay? If you can stay in a ski-in/ski-out ski hotel such as the Doubletree by Hilton, you will be near Beaver Run and the base of Peak 9 with lessons and lifts at your doorstep, the town within walking distance and a pool for tadpoles. The Doubletree offers s'mores on the deck and warm chocolate chip cookies après ski, as well as ski valet and ski school pickup. The Marriott’s Mountain Valley Lodge is a short walk to Peak 9 and Main Street and offers kitchens or kitchenettes, free ski storage and a heated outdoor pool. At Peak 8, One Ski Hill Place (as low as $200 a night) offers luxury apartments or condos on the slopes with ski lockers, hot tubs and even a two-lane bowling alley. If your budget is tighter, you can stay off the mountain (The Residence Inn is near Main Street and is within walking distance of Peak 9) or even in Frisco, which is about 15 miles away down CO-9. Yes, you will be driving in and paying to park, but less expensive lodging can allow more room in the budget for tubing, ice skating or other winter fun off of the ski slopes and allows you access to other ski resorts, as well, if you would like to experience Vail, Beaver Creek or Keystone. 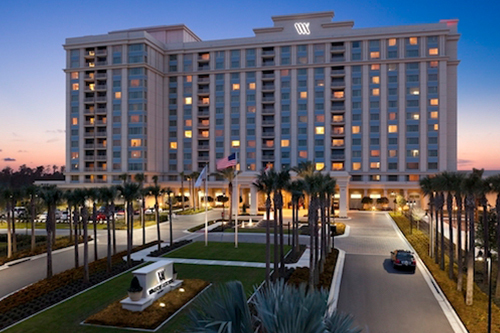 It’s fun and exciting to resort hop, especially with so many great family resorts in the area. 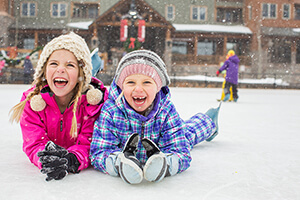 Staying within walking distance of the ski resort is definitely a good way to save your sanity on a family ski trip, but sometimes you need a budget-saver to make it all possible. One thing is for certain: when booking a ski hotel, the best time to book a ski vacation is well in advance for the best price, location and selection. We frogs are always looking at ways to save money on a family ski trip. One of the best ways to save money on lift tickets when skiing at Breckenridge is to buy multi-day passes and purchase lift tickets in advance. Undercover Tourist is now selling discount lift tickets for Breckenridge and other family ski resorts (when bundled with a hotel stay)! 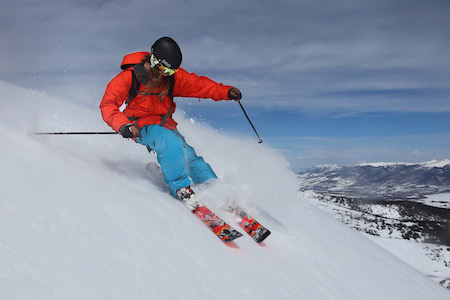 Whether you are skiing Breckenridge for one day or seven, you can find lift ticket deals that work for your plans. 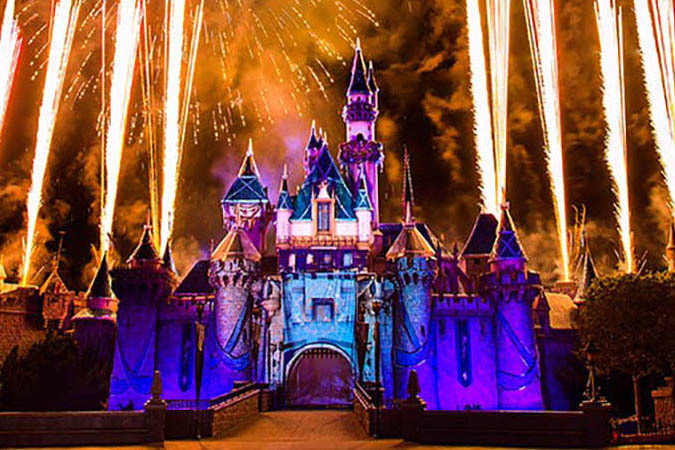 Just book your hotel and lift tickets together to take advantage of the savings. 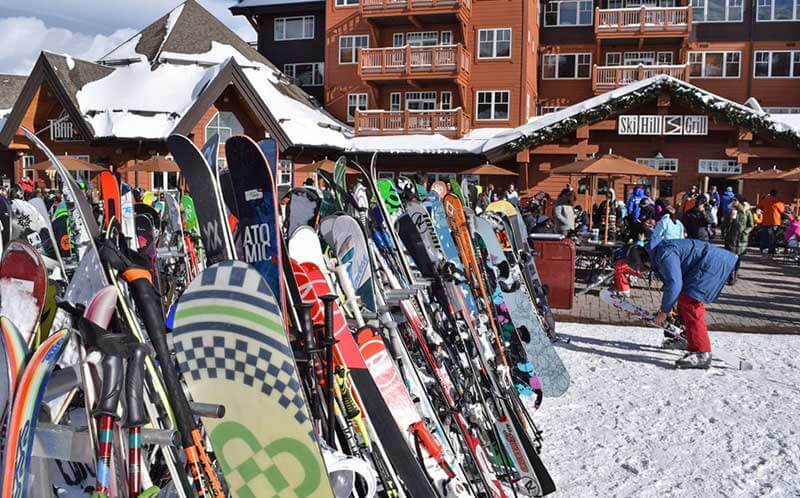 If you need skis, boots, snowboards or helmets for skiing Breckenridge, you can now book those through Undercover Tourist, too, for even more savings! If you or your tadpoles need to take ski or snowboard lessons, it’s good to know where you are staying so that you can choose a convenient lesson location. In fact, if you will be staying in Breckenridge, you can call your resort to find out which lessons location is closest to your lodging. Or, if you are arriving by car or bus for the day, it’s good to know where you booked your lessons so that you know where to park. 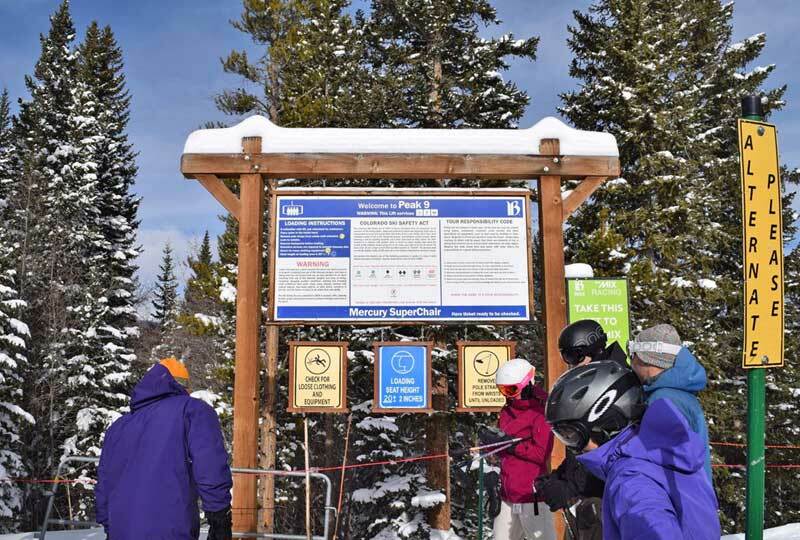 Lesson meeting locations or child drop-off are at Peak 8, Beaver Run or the Village, which is at the base of Peak 9. You can book group lessons, private lessons, small group (limited to four people) lessons or family private lessons, which can be a good value if your whole family needs lessons (plus, you can all ski together). If someone in your party has disabilities or special needs, you might look into adaptive lessons through the Breckenridge Outdoor Education Center. It is based in the Village at Peak 9, and lessons include one-on-one instruction, equipment and lift tickets. Call 800-383-2632 for more information about the Breckenridge Outdoor Education Center or to book adaptive lessons. 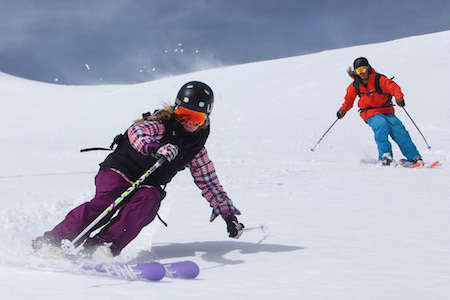 Breckenridge also offers some special programs such as Breck Guides, Breck Bombers, the Ski Girls Rock program for girls 7-14 and various women’s programs. Anyone up for a Women and Wine half-day lesson? Book lessons at least 48 hours in advance to save money. Lunch and snacks are included in the price of child lessons. Lift tickets are included with some lessons (such as First-Time lessons, Novice and some children’s ski and snowboard lessons), but not all lessons, so find out in advance if you need a lift ticket because lift tickets are always required to access a lift. 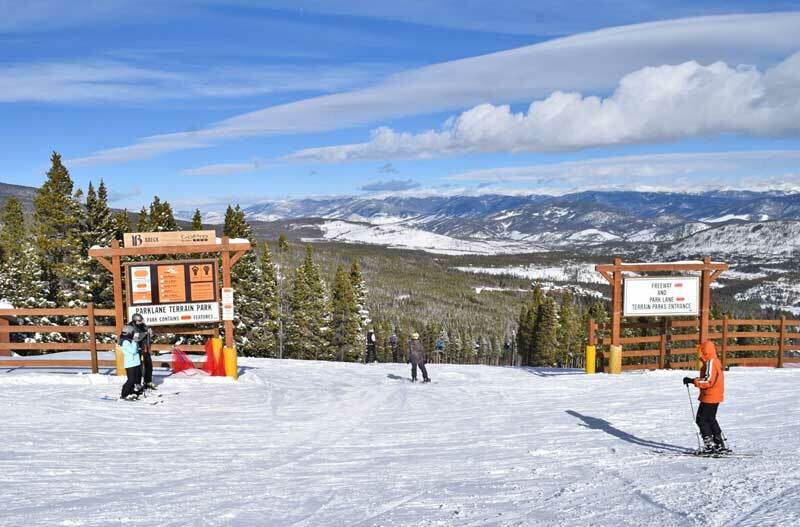 Adding a lift ticket and rental onto lessons can save money if you have not already purchased discounted Breckenridge lift tickets or equipment rentals. Helmets are required for children 12 and under, and you can add on a helmet rental, as well. If you rent equipment with your ski school package, then you can go straight to the ski school to pick it up. If, on the other hand, you reserved equipment separately from when you booked your lessons, you will need to pick up your gear from the Breck Sports location that you selected when reserving it. Plan ahead and book all at once so you can simplify the process for one-stop shopping and save your sanity (not to mention money). Multi-day lesson packages offer some savings, and that includes a First Time Series for people who have never tried skiing or snowboarding. And don’t forget that instructors always appreciate tips at the end of the lesson! If your tadpoles are too little to ski, there is childcare available at Breckenridge so that they can play while you ski. Childcare options are located at Peak 8 (that location may be temporarily closed for construction), Village Child Care (Peak 9) and Beaver Run. The Child Care Centers watch children two months to four years of age. The centers are open seven days a week, from 8:30 a.m. to 4:00 p.m. 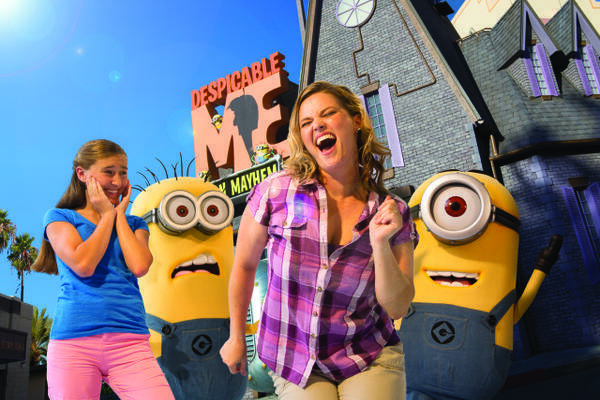 They offer full-day and hourly (walk-up) programs. 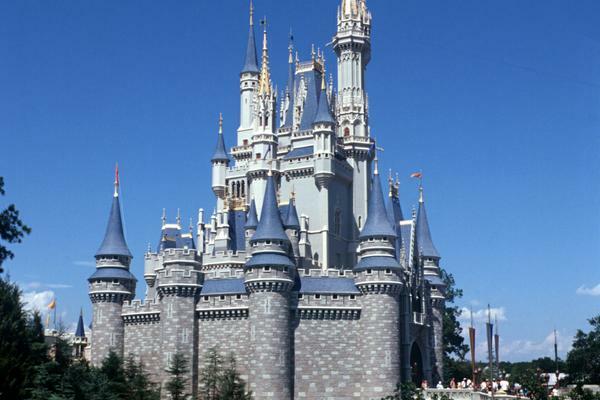 They recommend making advance reservations, which will save money over walk-up. 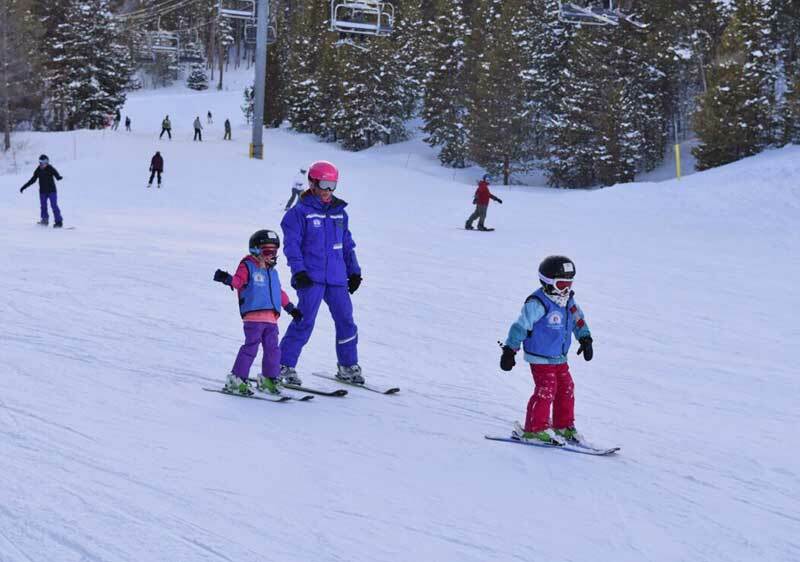 Children two and up enrolled in the full-day program can get an introductory ski experience through the Lil Rippers Program (for an additional $60). Lil Rippers gets your tadpole working with ski and snowboard instructors to develop those balance skills and beginning techniques! 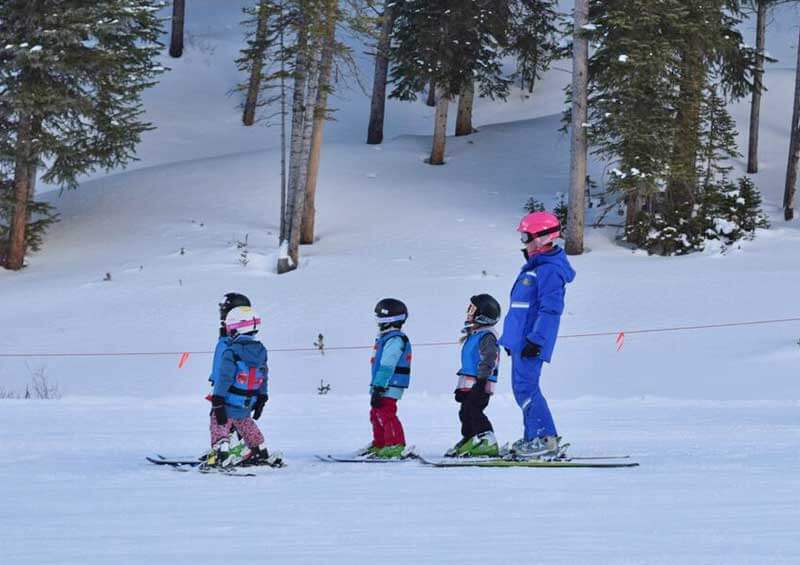 Those future skiers and snowboarders are toadally cute to watch. Breckenridge is a massive, well-designed ski resort. With 2,908 acres, five peaks, 187 trails, and four terrain parks, there is something for every type of skier and snowboarder. The mountain is fairly easy to navigate with its system of peaks. It’s best to get an understanding of the peaks and the mountain before delving into lodging and lessons because, well, location, location, location. You might want to pick lodging near a certain type of terrain or base, and you are going to want to book lessons or possibly rentals near your lodging. If you are a first-time skier, there is no point in booking ski-in/ski-out accommodations in an area you do not have the skills to ski or ride. You are going to want to be near lessons and green runs. When you are looking at the trail map, you will see that there are five peaks. Running from left to right, they are Peak 10, Peak 9, Peak 8, Peak 7 and Peak 6. Each peak has a base of the same name/number (with many runs and lifts in between that top peak and base). All of the bases have restrooms, warming huts and phone charging stations. They all have restaurants, except Peak 6. The three main lower-elevation bases with parking, restrooms, lodging, lockers and lessons are Beaver Run and Peaks 9 and 8. Beaver Run is just above Peak 9. Peak 7 has some lodging, restaurants and amenities, and is a short gondola ride away from parking and Peak 8, where you’ll find a full-service lodge. Peak 10 is advanced expert terrain only. Peaks 10 and 6 are at higher elevations than the other bases. Peaks 7 and 6 have only intermediate and expert terrain. This peak system, and knowing the levels of skiing or riding found at the peaks, makes it really easy to find an area of the mountain that is just right for you. And luckily, the resort has very easy and prominent signage, preventing a beginner from mistakenly taking a lift that accesses only advanced terrain. Beginners will find plenty of gentle green runs at Peaks 8 and 9. Peak 9 is the best area to learn how to ski, but it also has a lot of intermediate and advanced runs as you make your way up the mountain. There are Family Leaning Zones at both Peaks 8 and 9, where you can practice those turns in a relaxed zone, free from the distraction of faster skiers. In areas where many runs come together, the mountain has speed control zones, which are policed by employees to ensure that everyone has a safe skiing experience. Faster skiers might get speeding ticket warnings or even have their lift ticket revoked, so ski with the flow of traffic to play it safe. Peak 8 is the heart of Breck and is where the resort began. It is smack in the middle and has all types of terrain. The T-Bar, higher on the mountain, is where thrill-seekers brave the steeps. If you are a stats fanatic, Peak 8 is home to the highest ski lift in North America! The Imperial Express Super Chair accesses the top of Peak 8; granted, you will have to hike up there a bit to get to the actual peak, which is at 12,998 feet. If you are not afraid of heights, you can dip into bowls way above the tree line. Way down on the mountain, there is a kid’s trail that weaves through the woods for that first gentle tree-skiing experience. Intermediate skiers who like to cruise the blues will be in seventh heaven at Peak 7. Peaks 8 and 9 also offer plenty of intermediate runs. The easiest way to get to Peak 7 is to ski down to Base 8 and take the short gondola over. There are some ways to ski there, but they require catwalks and flat areas to traverse, so skiing down to the gondola is just easier. We like easy. When heading back to Peak 8 from Peak 7, there are several great runs from the top of the lift to the middle of runs to get you back to Peak 8 without needing a gondola. 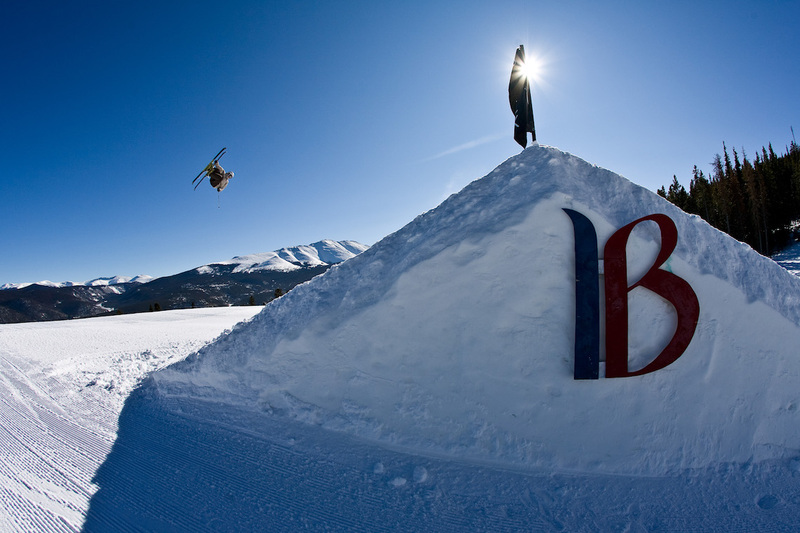 If you are looking for Freestyle Terrain parks, Breckenridge has four. Powerline (Peak 8) has extra small features, Highway 9 (Peak 9) has small, Park Lane (Peak 8) ramps up to medium, and Freeway (Peak 8) offers large features, including a 22-foot superpipe. Whether you are a beginner or advanced terrain park skier or rider, Breckenridge has an area for your level. Before you hop on that first lift, take some time to look over a trail map. Locate the areas you would like to ski and the lifts you definitely do not want to end up on. Beginners, stay off of the Falcon Super Chair at Peak 10. Set up a plan for where you want to ski or ride each day, but be flexible, too. If you find fabulous snow in an area perfect for you without a lift line, take some time to take the lift there for a few runs and enjoy it. We mentioned earlier that there are free charging stations through the resort. Consult your trail map for charging locations to help your phone battery reach its peak. The cold weather is a battery killer, so keep you phone in an internal pocket and with a hand warmer if your phone can’t take the low temperatures. If you are an intermediate or advanced skier looking to get to know Breckenridge better, consider a complimentary Ski with a Ranger tour. 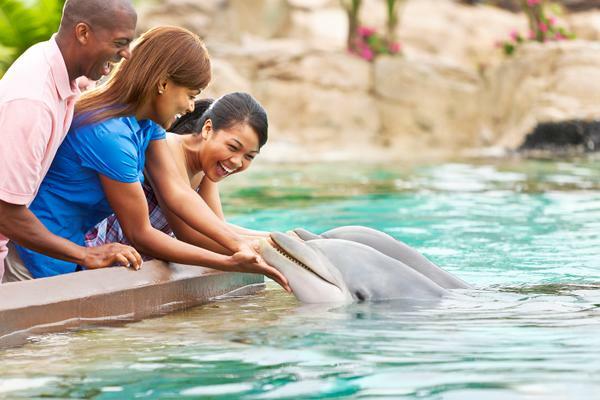 They offer naturalist tours on blue and green runs every Friday from 11 a.m. to noon. Meet at the top of the Independence Chair on Peak 7. You’ll learn a little bit about skiing Breckenridge and get familiar with the flora and fauna, geography and history. 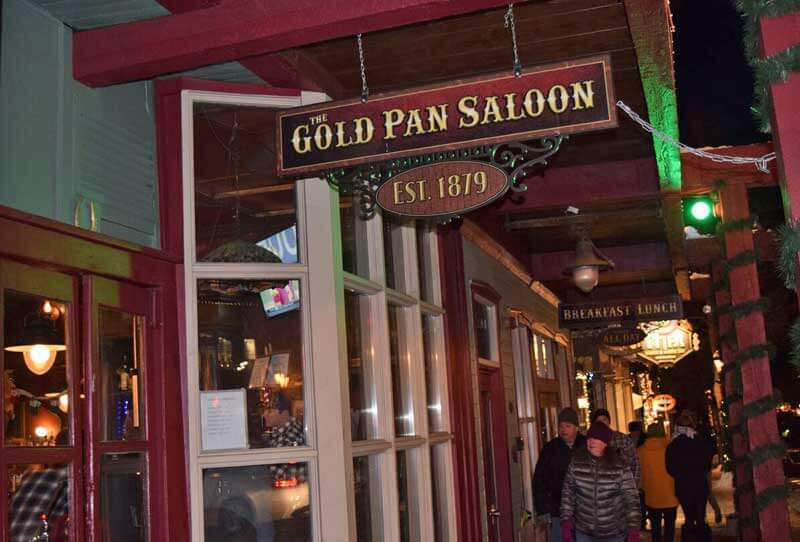 Breckenridge offers all kinds of dining, from local favorites, to bars and western saloons, to typical ski lodge fare. We look for family-friendly restaurants recommended by locals, and there are many locally owned tasty eats in town on or near Main Street in Breckenridge. Locals like breakfast at the Blue Moose, which is just across from Peak 9, but bring cash or ATM because they do not take credit cards. You can grab a quick egg bagel sandwich at Cool River, or fresh doughnuts and bagels at Kava Coffee on the north end of town. Quandary in the Village at Base 9 offers good food for reasonable prices, as well as good deals on appetizers at happy hour. Sauce on the Maggie on the upper level of the Village has Italian food, nice wine and a gorgeous view of Maggie Pond. 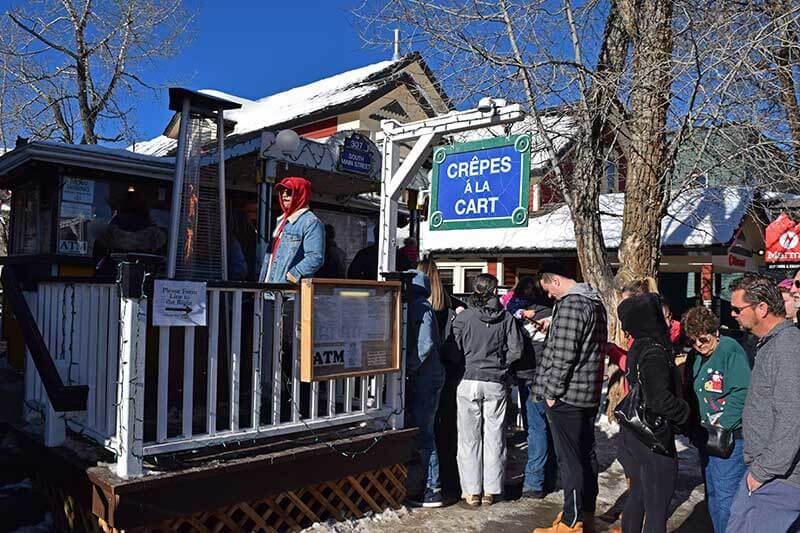 Our absolute family favorite little spot on Main Street is Crepes a la Cart, and from the line down the sidewalk whether it is 7 a.m., 2 p.m. or 2 a.m., it’s no insider secret. Whether you are into savory or sweet crepes, this little cart is worth the wait. We tried a sweet crepe with strawberries, banana and Nutella, as well as a savory crepe with turkey, spinach, onions and pesto basil sauce. Just YUM! If you are in a time-crunch, try their second location at their kitchen at 309 South Ridge Street Alley. The second location takes phone orders. If you are looking for hearty food that won’t break the bank, Kenosha offers reasonably priced American food. The kid's menu had ribs, BBQ pork sandwiches, burgers, chicken fingers and macaroni and cheese for $6 to $7. Their adult menu had reasonable burgers, soups, salads and other foods (along with vegetarian and gluten-free options). In the basement of that building, Rita's Tacos and Margaritas is said to have the best margaritas in town and good, affordable food. Do your kids have an obsession with boats? The Dredge Boat House is an upscale restaurant designed to look like a ship. They have steaks, seafood, pasta and phenomenal views of the mountains. On the mountain, you’ll find lodge dining, as well as full-service restaurants. We had lunch at the Ski Hill Grill at Base 8. It is a cafeteria-style typical ski lodge restaurant. While the food was tasty enough, the prices had us wishing we had stowed a sandwich in a pocket that day. Lunch ran about $30 per person for a bowl of chili, a fruit cup and water. Note to self: Next time drink the free water instead of buying a bottle. If you have access to a kitchen, you can make a pot of chili and feed your family for two days for much less than one person’s lunch at a ski lodge. The good news is that we could use the charging station to charge our devices while we recharged our own energy during lunch. Breckenridge is rich in history. It’s an old mining town, and there are free museums, as well as gold and silver mine tours and entertainment related to its history. 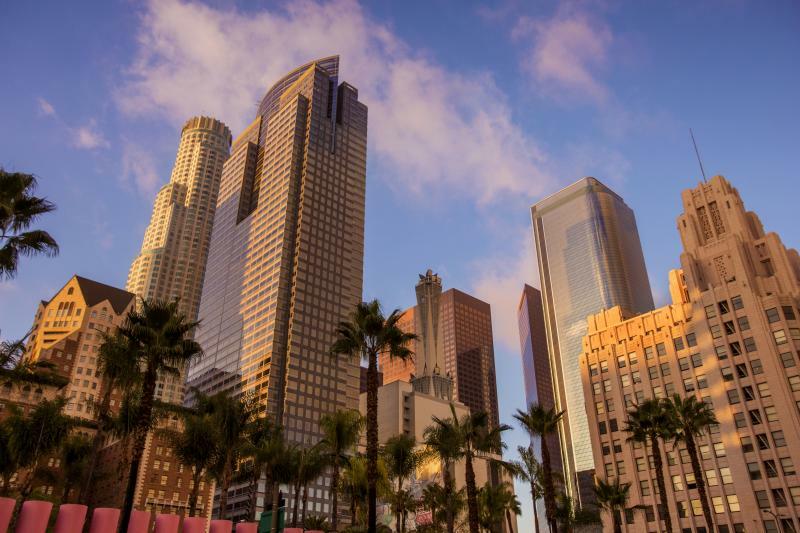 Enjoy walking around the city, which is one of the largest historic districts in the state. It’s a great pedestrian-friendly town. You can take art classes or dance classes. There are even Breck ghost tours! The Ullr (pronounced oool-er) Fest is Breckenridge’s trademark event in January, celebrating the Norse winter god. Put on your horned Viking helmet and let the festivities begin! If you happen to be visiting during the Ullr Fest, you do not want to miss the bonfire or catching candy and beads thrown from costumed dancers atop floats as the parade passes by. While many festivities are for all ages, there is a Mardi Gras feel, so use your best judgment when bringing the little ones. If you want to give some other winter sports a chance, you can go cross-country skiing, snow shoeing, fat biking, dog sledding or snowmobiling. Good Times Adventures offers a Ride the Divide snowmobile tour with jaw-dropping scenery. There are horse-drawn carriage rides down the historic streets of Breckenridge. You can head to Frisco for tubing (make advance reservations) or horse-drawn sleigh rides. There’s an indoor ice skating rink in Breckenridge, a free sled hill at Carter Park, an amazing recreation center and an alpine coaster. The Breckenridge Recreation Center (on the north end of town and accessible via the free transit system) has fitness classes, a gym, pools and a rock climbing wall. There are indoor tennis courts, a racquetball court and basketball courts. You can get day passes. It will cost a family of four $38, and they have towel rentals if you need them. 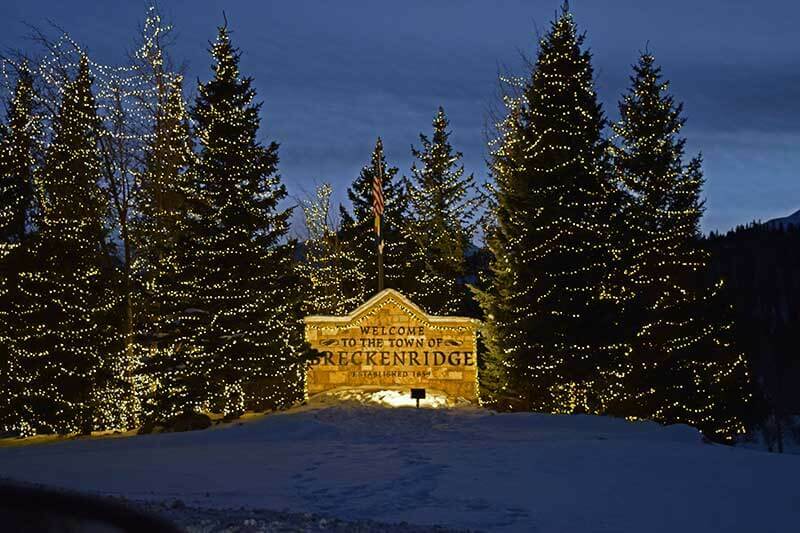 If you need help coming up with activities and winter fun off of the ski hill, the friendly people at the Breckenridge Welcome Center on Main Street can help you out. What About Altitude at Breckenridge, Colorado? When you land in Colorado, give yourself time to acclimate by staying under 7,000 feet for the first day. You can fly into Denver and stay the night at a hotel near the Denver area, which is at 5,280 feet. Then, take the drive out towards Breckenridge the next day. Having a good night’s rest and some time to acclimate to the altitude should ease you into it. Be sure to get plenty of rest during your journey. If you start to notice signs of altitude sickness, drink more water and try to get to a lower elevation if possible. Breckenridge has many sources of oxygen, from oxygen lounges to oxygen rental and delivery services. If someone in your group starts to have signs of altitude sickness, get some oxygen! With this family-friendly insider’s guide to Breckenridge, Colorado, you can plan your next ski vacation. 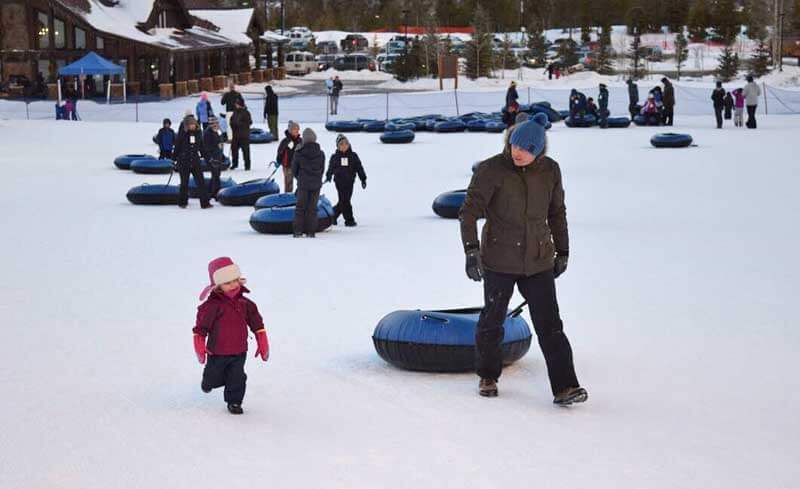 Breckenridge offers something for skiers of every level on the mountain, and offers a variety of family entertainment off the mountain. Now you can feel a little less overwhelmed about staying and skiing in Breckenridge. If you are still looking for lift tickets, ski hotels, equipment rentals or rental cars, we can help. Check out our other ski planning posts to help you in planning your ski trip.